Yellowfin BI - Beautiful, Balanced & Brilliant. Yellowfin Business Intelligence is subscription-licenced and costs less than the support and maintenance alone of other BI products. Call us today and save! 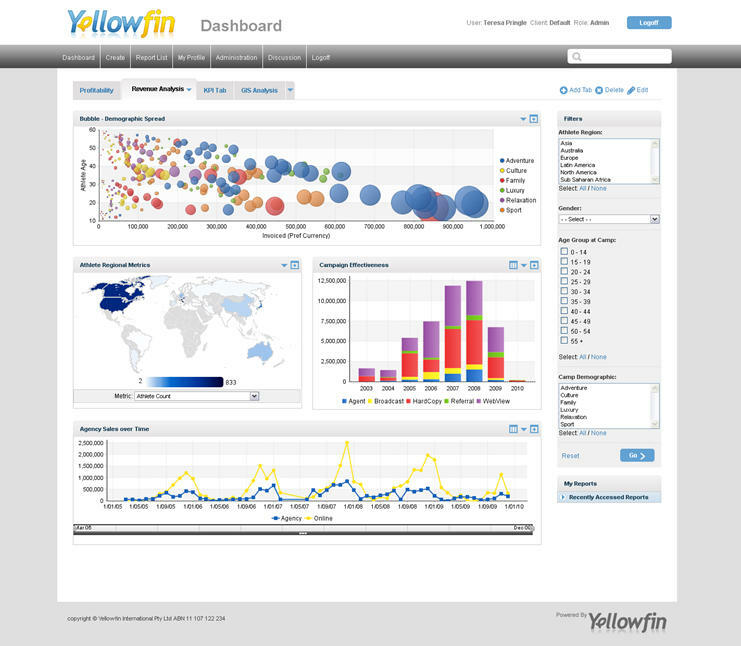 With more than a million end-users worldwide, Yellowfin BI has garnered numerous awards. Here’s some key reasons why. 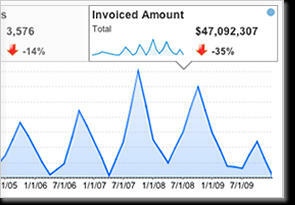 Beautiful Dashboards Clear, tabbed dashboards that support fast decision-making across your business. True Collaboration Instantly email reports with annotations, or present using the PowerPoint-like StoryBoard or discuss via the inbuilt Facebook-like interface. Go Fully Mobile Get the free app for your device from either Apple App Store or Google Play. Proactive Alerts Don’t dig for information, Yellowfin will tell you when numbers go above or below parameters that you can set. 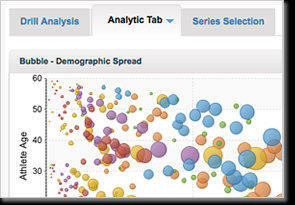 Rich Data Visualisations Crystal-clear visualisations so get the picture in a single glance. Complete with GIS Mapping 80% of data has a geographical component. See ‘where’ quickly with Yellowfin. Adhoc analysis and data visualisation with Yellowfin 7. 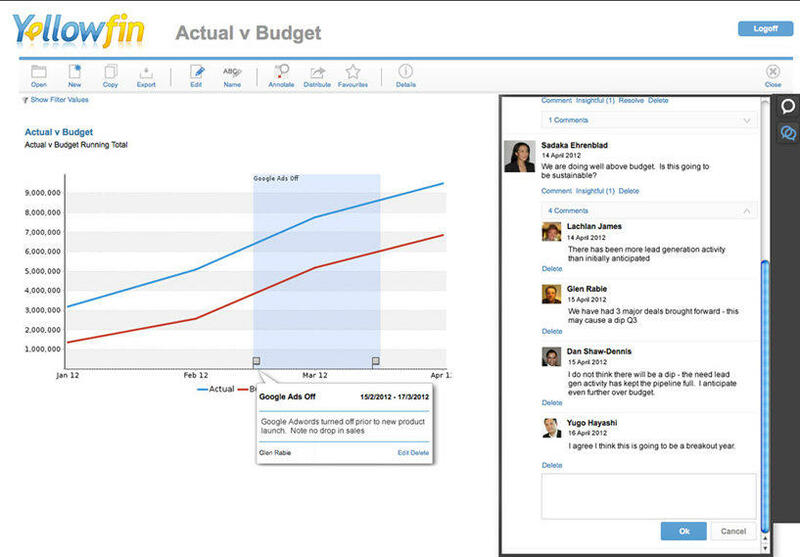 You'll love using Yellowfin BI. 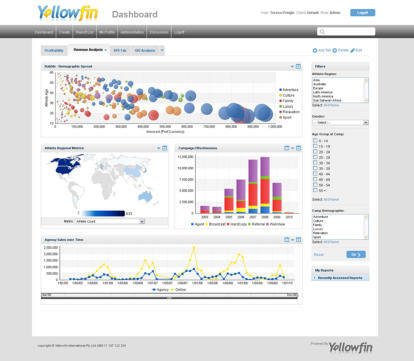 Yellowfin BI’s focus on simplicity, interactivity, and ease of use make it truly unique, and a perfect companion for BIReady Data Warehouse Automation. Recommended by 100% of customers. In a recent global BI survey, 100% of Yellowfin Business Intelligence customers surveyed said they would recommend Yellowfin BI to their peers and colleagues. In terms of scalability, Yellowfin BI is unsurpassed. 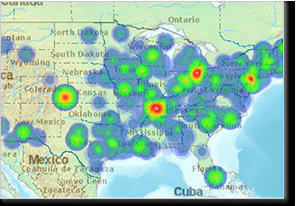 One client operates 180,000 named users and all served by a handful of inexpensive servers. Get creative with your data. 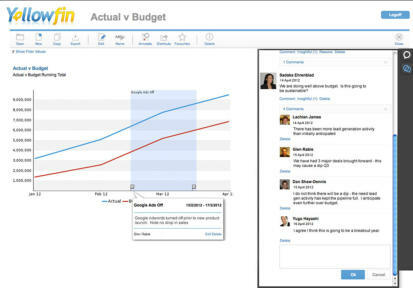 Yellowfin loves data and helping organizations use it creatively. We foster this creativity by enabling you to share data in a revolutionary new way. 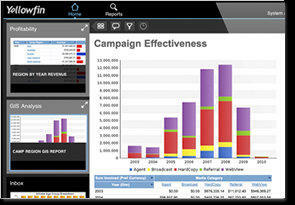 Focus on your data and what you can do with it - not the BI application. 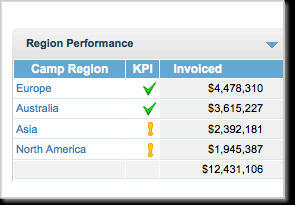 Yellowfin now has over 1,000,000 end-users and tens of thousands of clients in over 50 countries. You’re mobile and so are we. 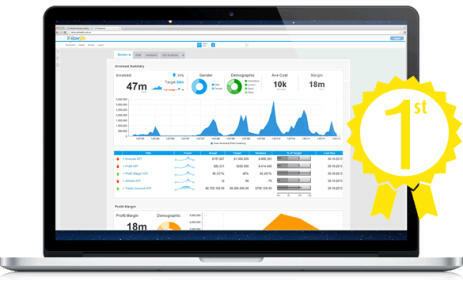 Yellowfin is a recognized leader in Mobile Business Intelligence. 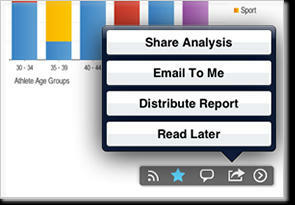 Instantly access your Yellowfin dashboards on your iPad, iPhone and Android devices. Just download the app and you’re good to go. Call us today to arrange a demonstration. Yellowfin is subscription-licenced and costs less than the support and maintenance alone of other BI products. Call us today and save! With more than a million end-users worldwide, Yellowfin has garnered numerous awards. Here’s some key reasons why.